The Reverend Howard Finster (1916–2001) was called the “backwoods William Blake” and the “Andy Warhol of the South,” and he is considered the godfather of contemporary American folk and visionary art. 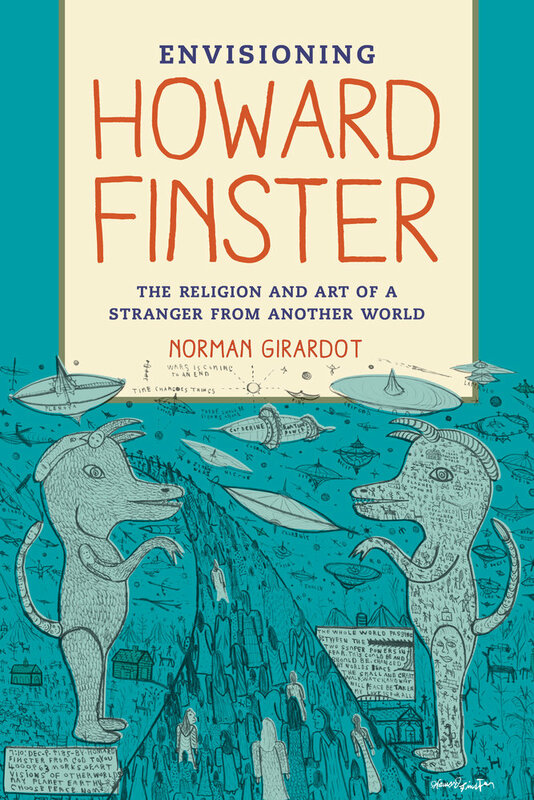 This book is the first interpretive analysis of the intertwined artistic and religious significance of Finster’s work within the context of the American “outsider art” tradition. Finster began preaching as a teenager in the South in the 1930s. But it was not until he received a revelation from God at the age of sixty that he began to make sacred art. A modern-day Noah who saw his art as a religious crusade to save the world before it was too late, Finster worked around the clock, often subsisting on a diet of peanut butter and instant coffee. He spent the last years of his life feverishly creating his environmental artwork called Paradise Garden and what would ultimately number almost fifty thousand works of “bad and nasty art.” This was visionary work that obsessively combined images and text and featured apocalyptic biblical imagery, flying saucers from outer space, and popular cultural icons such as Elvis Presley, Marilyn Monroe, Henry Ford, Mona Lisa, and George Washington. In the 1980s and 90s, he developed cult celebrity status, and he appeared in the Venice Biennale and on the Tonight Show. His work graced the album covers of bands such as R.E.M. and Talking Heads. This book explores the life and religious-artistic significance of Finster and his work from the personal perspective of religion scholar Norman Girardot, friend to Finster and his family during the later years of the artist’s life.